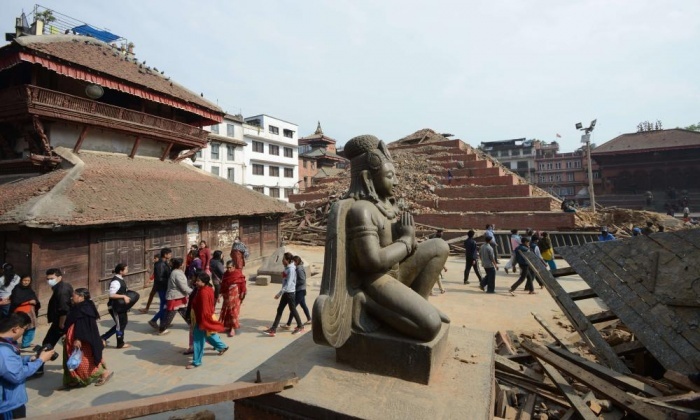 The government is opening some cultural heritages sites in Kathmandu Valley for tourists from June 15. 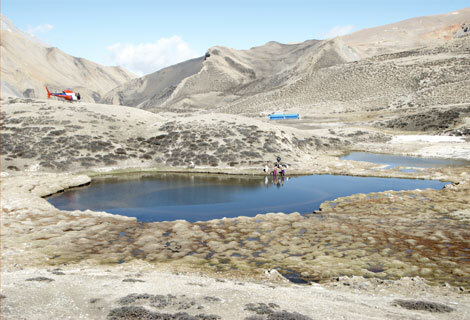 The government had barred entry of tourists in these sites following the earthquake of April 25. 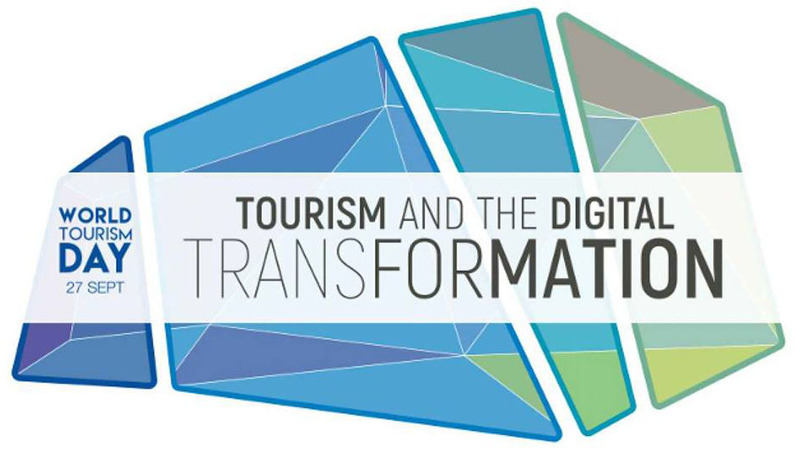 The meeting of Tourism Recovery Committee (TRC) held on Monday took the decision. The meeting, which was chaired by tourism secretary Suresh Man Shrestha, saw participation of high ranking officials from the Ministry of Culture, Tourism and Civil Aviation (MoCTCA), Department of Tourism, Department of Archaeology (DoA), archeological experts, presidents of different tourism organizations, executive committee members and administrative chief of Nepal Tourism Board (NTB), among others. Bhesh Narayan Dahal, director general of DoA, said they would formally open Kathmandu Durbar Square, Swoyambhunath and Patan Durbar Square for visitors from June 15. 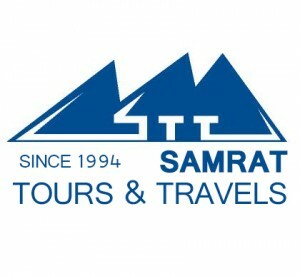 Other heritage sites like Bouddhanath, Budhanilkantha and Pashupatinath are safe for tourists, he added. 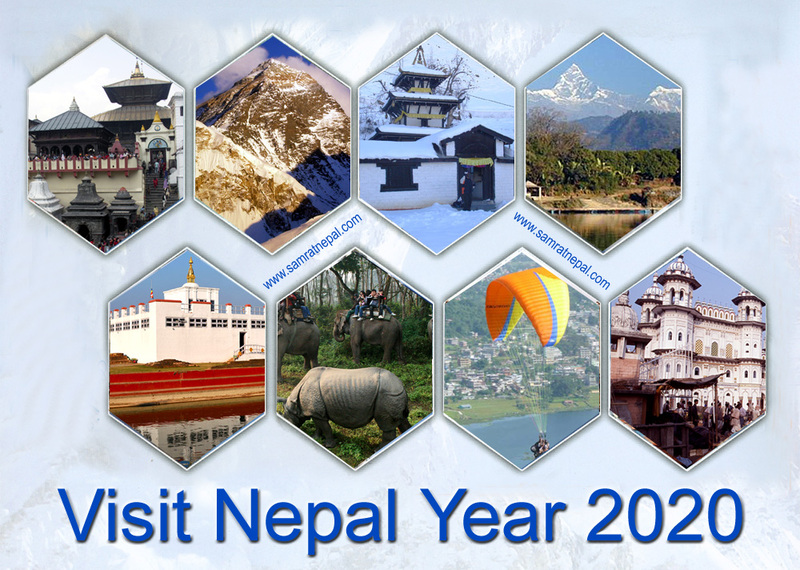 Speaking at the meeting, Tourism Secretary Shrestha said there is a need to organize effective international media marketing campaign and organize fam trips for celebrities, tour operators and travel writers to Nepal to disseminate positive message about Nepal. “This will help us tell the rest of the world what we still have to offer after the earthquake of April 25,” said Shrestha. 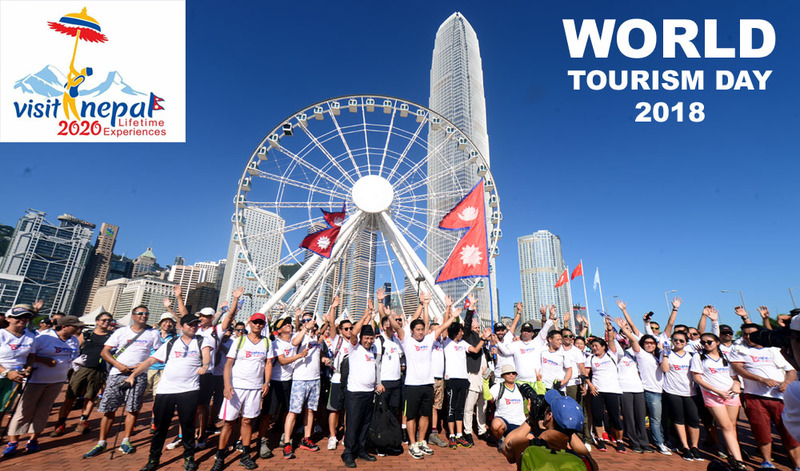 In the meeting, Hotel Association of Nepal (HAN) expressed commitment to provide complimentary accommodation to participants of fam trips, while Nepal Association of Tour Operators (NATO) has said it would arrange vehicles and tour guides for the participants. 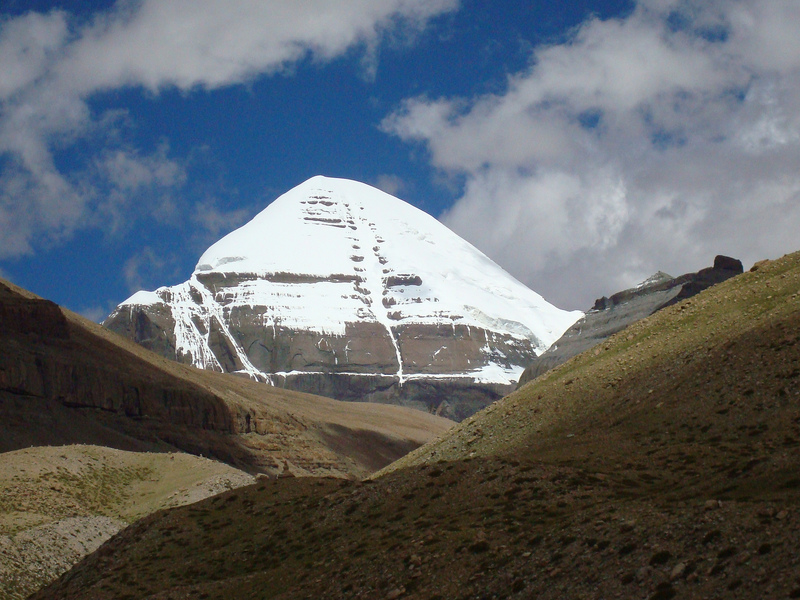 You’ve dreamed of climbing Mount Everest. 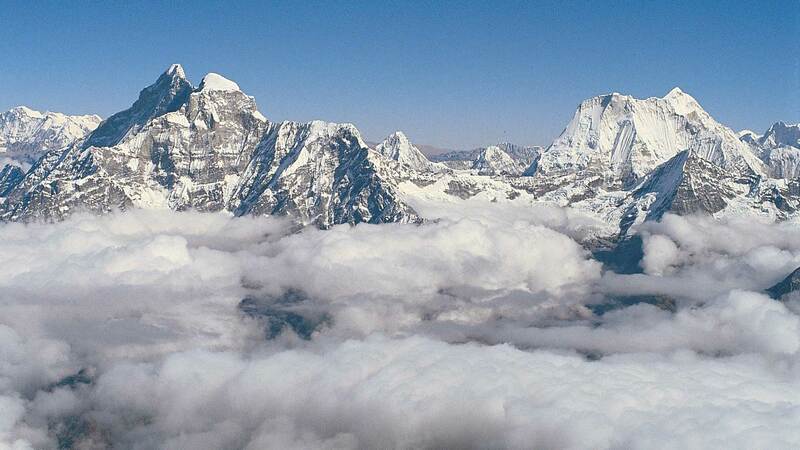 Many of us have, and when you think about Nepal, you usually lump the world’s tallest peak in with your thoughts. The thing is, unless you have a nice chunk of change (I’m talking about a hundred grand here) and a ton of patience (the lines to the summit are a travesty these days), you probably aren’t going to climb Sagarmatha, as the Nepalese call her, but that’s okay. There are plenty of things to do that are amazing (and safer) in this tiny Southeast Asia country just north of India, and we’re going to experience nine of them right now! 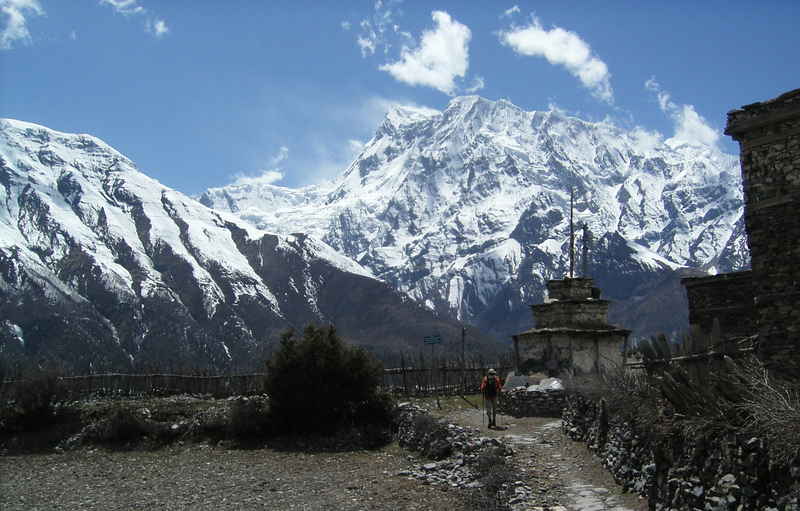 Check Out Everest Anyway: One of the most amazing experiences you can have while visiting Nepal is, of course, to see the mountain in all of its splendor and glory. 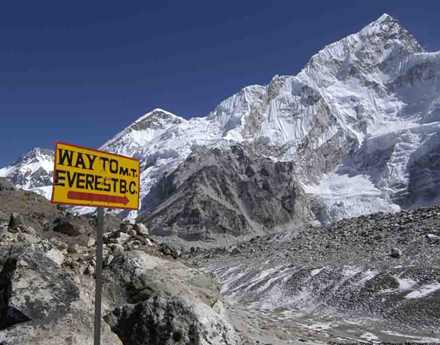 A less stressful, albeit still high-endurance, workout is an Everest first-base-camp trek, which, naturally, takes you to the mountain’s first base camp. Sound too strenuous? Go up to the peak via plane and be blown away by the fact that she is still taller than you are, even in the air! Tigers, and Tigers, and Tigers, Oh My! : If you’ve ever wanted to see Bengal tigers roaming naturally in their habitat, then you must visit Chitwan National Park. This UNESCO World Heritage National Park is truly one of the most amazing places in Southeast Asia. Resting at the base of the Himalayan Mountains, you’ll have breathtaking views of nature and the world’s grandest big cats as they romp and roam. Kathmandu’s Durbar Square: This ancient square is at the heart of Kathmandu and is where you’ll find the Royal Palace alongside many other notable structures. This area is so notable, in fact, that UNESCO has given it World Heritage status. There are several temples dedicated to various gods and goddesses and the Durbar Square Museum that explains it all in fascinating fashion. Trust me; you’ve never seen a square like this one! Take a Load Off in the Garden of Dreams: After you’ve hoofed it to Everest’s base camp and wandered through the glorious craziness that is Kathmandu, head over the city’s Garden of Dreams for a relaxing oasis. Inspired by the Europeans, this garden is filled with cafes and restaurants for a quick bite among the many fountains and ponds designed to calm and relax you. Party Like it’s the Festival of Holi: You’ve refreshed yourself in the Garden of Dreams, so now it’s time to do one of my favorite things in this country, and that is celebrate the Holi Festival. This Hindu celebration takes place toward the end of February or beginning of March, and the entire country goes crazy for a week dousing each other in one gigantic paint and water balloon fight… I’m not kidding! It’s AWESOME! 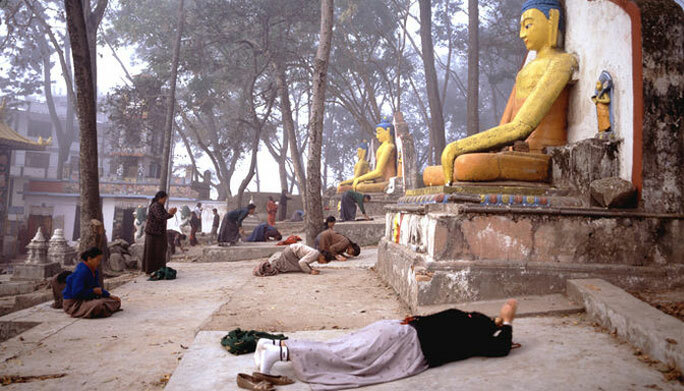 Visit an Important Birthplace: It’s time to show reverence to another faith, and that is Buddhism. You’re in Nepal, near India, and in the Southeast Asia region where Buddhism is an extremely important part of the culture. 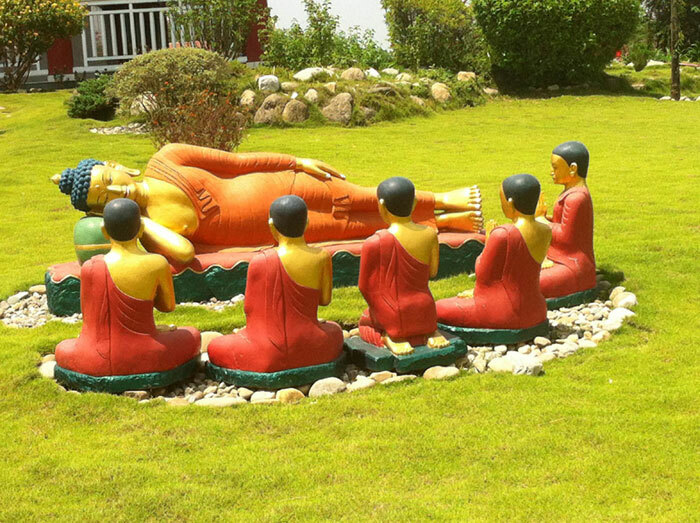 Why not visit the birthplace of Buddha to see how it all got started? Head over to Lumbini Gardens, where Buddha was born in 623 B.C., and take in the amazing pillars and temples. Don’t Stop There: But wait! There’s more! Bhaktapur is one of the best-preserved medieval cities in the country and has the architecture to prove it. Whether in person or via pictures, you’ve seen plenty of European medieval castles and churches, and now, it’s time to see how the Asians did medieval in the many amazing temples you’ll find in the city’s three squares. The shrines alone will blow you away; I know they impressed me! 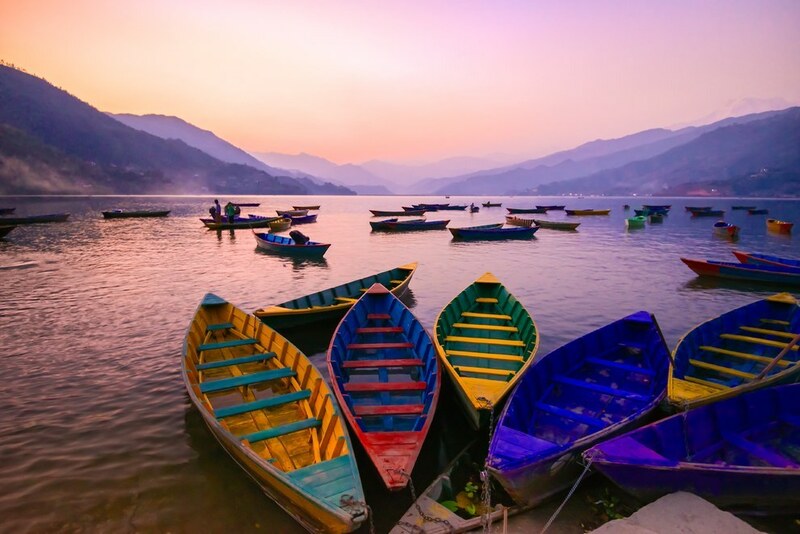 Get Back to Nature: You’ll discover that nature is a primary theme in this Southeast Asia country, and one of the best places to get back to it after visiting all of the temples in Bhaktapur is going to Pokhara. This little village is only 15 minutes from Kathmandu and is the home of Phewa Lake, some snow-capped peaks, and… well… monkey forests. Yep! These little critters run wild in Pokhara and are quite entertaining in and of them. 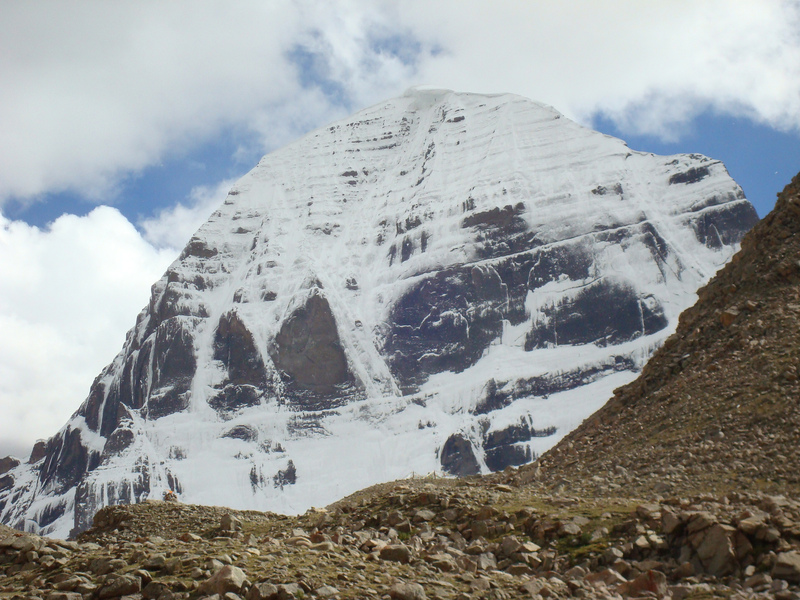 Aside from seeing the tallest peak in the world (planes fly LOWER than she is), there are some incredible sights, sounds, and experiences in this little gem north of India. What you’re going to find in Nepal is a part of the world unlike any other, filled with wonderfully friendly people living within a unique culture. Keep in mind that this is a less-developed nation, so you’ll want to take some health and safety precautions. This should not stop you, however, from visiting this amazing, amazing country! Trust me, once you’ve crossed these nine amazing things off of your list, you won’t regret not attempting an Everest summit! Archaeology, a magazine of the Archaeological Institute of America (AIA), has featured the discovery of a structure dating back to the sixth century B.C. 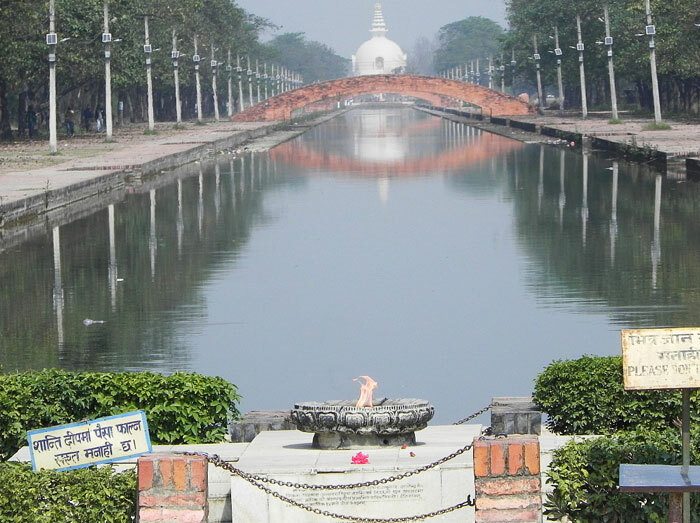 at Lumbini and linked with the life of Gautam Buddha, as among the world´s top 10 discoveries of 2014. AIA is a reputed nonprofit organizaiton established in 1879 for the preservation and promotion of archaelogical sites in the world. Archaeologists working on excavations within the sacred Maya Devi Temple at Lumbini, a UNESCO World Heritage site, on November 25, 2014 uncovered a timber structure dating back to the sixth century B.C., under a series of brick temples. Issuing a press release on Friday, Christian Manhart, UNESCO Representative to Nepal, stated that “UNESCO is proud to be associated with the important discovery in Lumbini which has been featured among the top ten discoveries of 2014”. An international team of archaeologists, led by Professor Robin Coningham of Durham University, UK and Kosh Prasad Acharya, senior archaeologist at the Department of Archaeology, had carried out the excavations. Manhart further said that the discovery of the timber structure not only provides some of the earliest evidence for Buddhist monuments but also helps inform the debate as to when Buddha lived and the social and economic context in which he lived. According to the archaeologists, the uncovered timber structure contains an open space in the center that can be linked to the nativity story of the Buddha. They presume that the open space in the center of the timber shrine may have accommodated a tree. And the brick temples built later above the timber structure were also arranged around the central space, which was open to the sky. Various Buddhist scriptures have it that Queen Maya Devi, mother of the Buddha, gave birth to him while holding on to the branch of a tree at the Lumbini gardens, midway between the kingdoms of her husband and her parents. This is the first archaeological material discovered at the temple, that is linked to the life period of the Buddha. 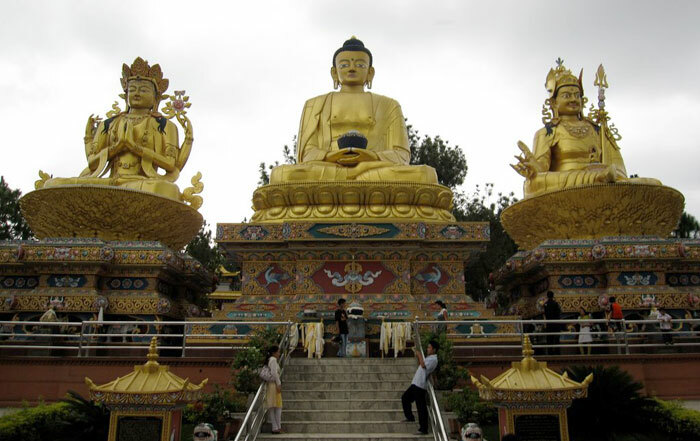 Many archeologists believe it helps clear the misconception that Buddha was born in India. The excavation project was funded by the Government of Japan and UNESCO and implemented with the help of the Department of Archaeology and the Lumbini Development Trust. 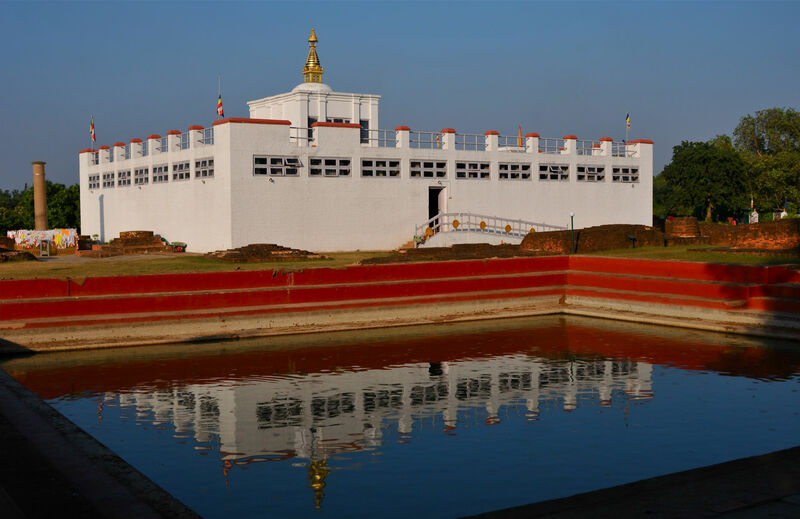 The Mayadevi Temple at Lumbini remains a living shrine and is visited by Buddhist from all over the world. 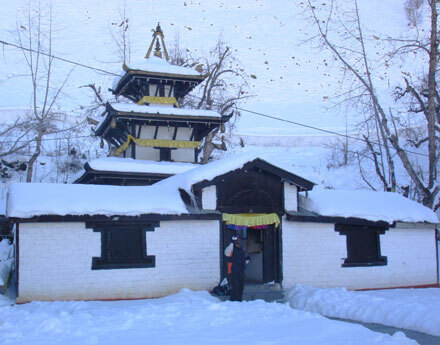 The team is now currently working together with the Government of Nepal at Tilaurakot, one of the sites identified as ancient Kapilavastu, where the Buddha lived until the age of 29. 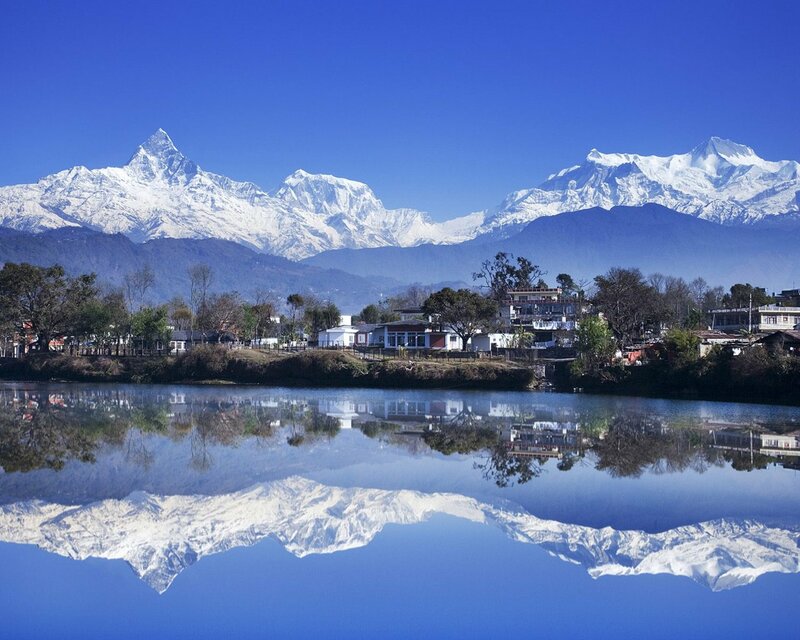 Nepal and Himalayas have been the synonym words for Nepal enjoys the pride of having 8 out of 10 highest peaks of the world! We don’t have only mountains but our unique geography has given us green hills and valleys, rivers, subtropical forests and flat lands all adding beauty to our country. Apart from geographical diversity, we have incredible cultural diversity within the boundary of our small Himalayan Kingdom. We have a number of ethnic groups, each with their own languages, cultures, and costumes, all living in perfect harmony. UNESCO has declared 7 World Heritage Sites, all inside Kathmandu Valley. These seven World Heritage Sites are all amazing man-made wonders still standing majestically – some of them as old as 2500 years. 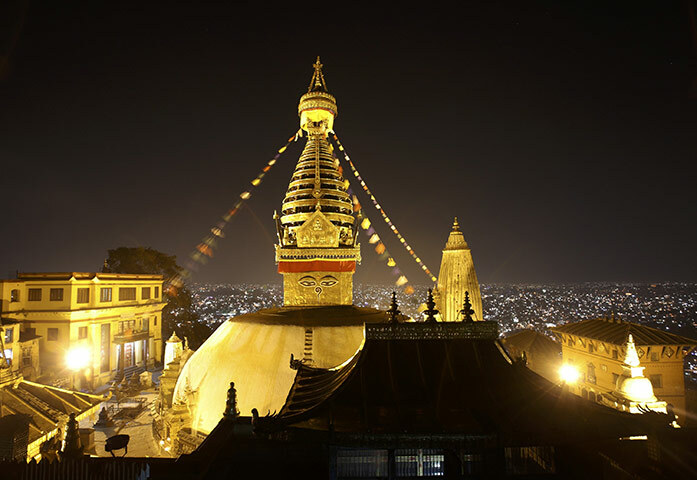 Although their close proximity means you could probably travel to each sight in a single day, you’ll need two to three days in the city of Kathmandu to get the full experience of each location. As the crow files, ninety Kilometers south – west of Kathmanndu, is the Chitwan National park. Widely acknowledged as one of the best national park in Asia, it spreads over a total area 967 square kilometers… In the north- west section of the park is an island known as the Bandarjhola. Surrounded by the Narayani River, this unique island consists of riverine forest, tall grassland, marshland, numerous inlets and oxbow lakes. Such a diverse combination of nature is found only here on this island providing a perfect habitat for wildlife.